Recently myself, and a number of very special friends hosted a Pink Ribbon Morning Tea at a local golf club. 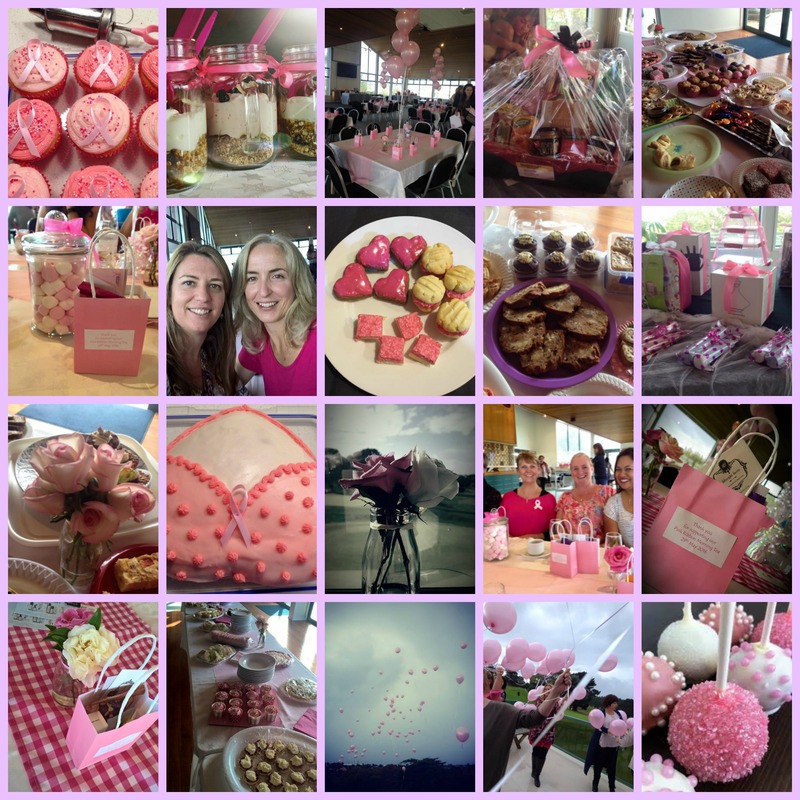 These breakfasts/morning tea’s are held during May in New Zealand to raise funds for the New Zealand Breast Cancer Foundation to enable them to continue their research and to cover the cost of tests and treatment. Instead of only a few of us getting together and raising a small amount (yes I know, every bit helps), we invited our wider group of friends…and their friends…and so on, until we had over 80 confirmed guests. Each guest donated $20 to attend and brought along a plate of snacks to share – the food was amazing – so many beautiful ideas and it was all delicious! Gifts/prizes were donated by local businesses, we made up goodie bags, table flowers were donated and the room looked beautiful. A couple of very enjoyable hours spent together as friends in support of a cause that has touched many of our lives and after raffling off 6 of the donated prizes, we raised just over $2,300. A fantastic effort by a group of wonderful women. Next time you’re wanting to get involved to support a good cause, remember that an idea can very easily become reality. With a little planning and of course hard work, something amazing can be achieved. From champagne on arrival, to our balloon releasing ceremony at the end in memory of loved ones, it was a magical morning and thanks to Stacey, Charmaine, Sarah, Adele and many others who donated prizes, their time, or travelled from other cities and towns especially to join in. Use your voice for kindness, your ears for compassion, your hands for charity, your mind for truth and your heart for love. I wish you all peace and happiness and joy.